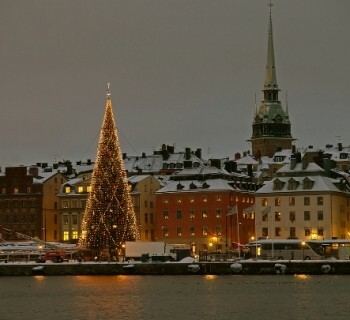 Stockholm - the capital of Sweden. By this beautiful city are 4 airports, which are located around it. It will now be briefly reviewed Arlanda airport, Skavsta, and Vasteras Brom. Arlanda is considered the main internationalAirport in Stockholm. It is 40 kilometers north of the Swedish capital. Arlanda Airport has 5 terminals, 2 of which are responsible for the international flights (Terminal 2 and 5) and 2 are responsible for domestic flights (Terminal 3 and 4). Compared with similar airports, the mainInternational Airport in Stockholm is not the biggest, most are medium in size. However, the quality of service he did not yield. The airport has: 20-30 outputs on land, about 90 stands for registration, a wide variety of shops, cafes and restaurants, rooms for business class passengers, and more. The bus - the best optionon the price and comfort. The price of travel when purchasing tickets at the box office - in the region of SEK 100 or about 500 rubles. I should add that when ordering tickets via the Internet, the cost will be a little lower, you can save about 15-20 SEK. The bus that takes passengers to the city center runs every 20 minutes. Train - a more expensive way to get to the city. The ticket price is about 250 SEK. 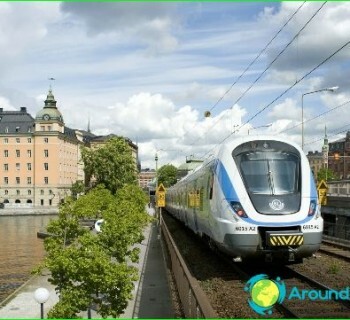 The train will take passengers at the railway / train station Central Station, which is located in the city center. Taxi - the most expensive way to travel. The cost of travel up to 500 SEK, it depends on the carrier company. It is also worth adding that the pre-order you can get a small discount. Nearest location for the city airport -10 km west of Stockholm. Brom Airport is mostly used for domestic flights, but also collaborates with several European carriers. To get to the city, can be reached bybus, train or taxi. The cheapest option - is to take a bus №152, which will deliver passengers to the train / d Sundbyberg Station, where the train can reach the city center. All together it will cost around 30 SEK. Use the bus - ticket price is in the region of 120 SEK, when ordering through the Internet. Travel time - 1 hour 20 minutes. Use the bus №515 and 715, which will deliver passengers to the w / d station Nyköping, where train connections to the city center. Travel time will be the same. This airport is known for having cooperated with the London company Ryanair. Airport is located 100 km west of the capital. To get to the city from the airport by bus, the ticket price will be approximately SEK 120 - when buying over the Internet, and 30 SEK more expensive - if you buy at the box office.